Divercity transmits from Soas Radio and is hosted by the Freedom Teacher KMT. KMT specializes in UK black/urban music fusing African, Hip-Hop, R’n’B, Dance Hall, Soul, Broken Beats, World, He has been working on radio and stages throughout the world for over 12 years, playing venues like Cargo, Shunt, Fabric, Stoke Rochford Hall, African Cup of Nations 2008and Glastonbury. Divercity mixes music and art seamlessly. 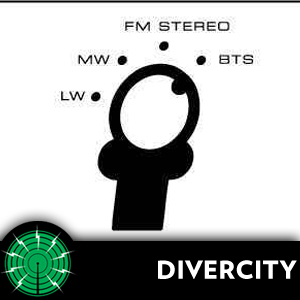 There is a strong emphasis on UK artists and the content of Divercity has been likened to a “Facebook of the radio waves”. The policy of showcasing new or underground artists is intrinsically connected to the limited opportunities that many artists face when attempting to promote their work through the mainstream channels. Also part of Divercity is a proactive commitment to building a community of innovative, conscious and positive artists who understand that their art is a means to not only entertain, but to educate. In this the first episode of Divercity, KMT reasons with hip hop theatre pioneer and practitioner Jonzi D, artistic director of Breakin' Convention.